Airchieferadios.com, Information, catalog covers, and a gallery of Air Chief brand radios. Al's Antique Radio Collection, Albert Aert's collection of European radios. Chris's Old Radios, Collection of radios and test equipment. Chuck's Radios, Chuck Taggart's collection of radios. Classic Radio Gallery, Collection of radios, speakers, and other electronics. Fyrboltz, Collection of radios, radio art, and test gear. Indianaradios.com, Collection of radios, with a section on radios made in Indiana. Jani Antique Radio Collection, Collection of European and American radios. Jayce's Vintage Radios, Jayce's personal collection of radios and other vintage items. Jim's Antique Radio Page, Homepage of the late Jim McKinnon. John Lovering's Radio Page, Some very interesting information, including restoration tips, OTR news and show clips. Jon's Antique Radios & More, Collection of radios, televisions, and other electronics. Land Of Vintage Tube Radios, "A virtual museum of antique radios." Padgett's website, A collection of Zenith TransOceanics. Also has information on Hickok tube testers. Paul's Homepage, Paul D.'s Page with radio restoration articles, plus some interesting tube information. Phil's Old Radios, One of the oldest and best antique radio sites. Everything from restoration articles to help for beginners. Plasticradios.com, "An internet site devoted to the preservation of plastic tube radios"
Radiophile.com, John Pelham's website with his collection of many very attractive antique radios. Radio Wyatt, Wyatt's homepage with restoration projects and videos. Ralph Muchow Collection, A few photos of the worlds greatest collection before it went to auction in 2001. Reborn Radios, Newer page with photos of a personal collection. Sal's Antique Radios, Sal's collection of radios, test equipment, and some of his projects. Stan Saeger's Vintage Radios, A collection of mostly US radios. Stone Vintage Radio, Virtual museum and research site of radios, wireless, crystal sets, tubes, and tube amplifiers. Supreme Instruments Corp, Steve Johnson's collection of Supreme test equipment with a complete history and free manuals to download. The Old Radio Builder, Restoration articles and homebrew projects. The Sparkbench, Exray's collection, with many photos restoration articles, and homebrew projects. thisoldradio.com, "Zenith Transoceanic R-520/URR restoration"
WA2ISE's Homepage of Radios, Lots of great radio and electronics information. Antique Radio Forums, A very large community of radio collectors, with several categories. Nostalgia Air Forum, A forum for electronically repairing radios. 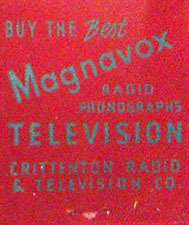 rec.antiques.radio+phono, A newsgroup containing a large source of information on antique radios. The PHILCO Phorum, A Forum aimed mostly at Philco brand radios. Created and moderated by Philco expert Ron Ramirez. Tube Radio Forum, Oldsmobile Man's forum. Large list of suppliers of parts and services, compiled by Tom Albrecht on the Antique Radio Forums. Low Power Radio and Broadcast Company, Solid state and tube type AM transmitters. SSTRAN, Solid State AM transmitters. These are great for listening to your music on old radios. My personal favorite! Talking House, Solid State, FCC Part 15 AM transmitter. Falk Audio, Audio format transfers, audio restoration, custom electronics, PA system services and rentals. Philco Radio 1928-1942, "A Pictorial History of the Worlds Most popular Radios". By Ron Ramirez. Tayman Electrical, Reproduction car radios, conversions, car radio restoration services. Also has car radio parts. Bill Turner, Kits to make your own plastic dial covers, and new production round and convex glass dial covers. West-Tech Services, Reproduction plastic dial covers. The molds and stock from the former Doyal Roberts business. 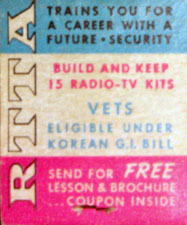 Adams Manufacturing Co., Radio dial belts and radio books. Antique Electronic Supply, A supplier of antique radio tubes, parts, and other audio items. Bill Turner, Reproduction books, manuals, hard to find tube replacements, dial cover kits, and many more custom made parts. Bob's Antique Radios, Capacitors, power cords, lamps, and Novus polishes. Just Radios, Capacitors, resistors, and schematics for old radios. Mark Oppat's Old Radio Parts, A large source of many new and used parts. Specializes in radio controls and reproduction dials. Play Things of Past, A well known supplier of many NOS and used radio parts. Radio Daze, " Your source for vintage radio and electronics "
Vacuum Tubes Inc., Vacuum tubes, sockets, capacitors and dial lamps. Vintage Electronics, A large selection of unrestored radios, parts, SAMS photofacts, and test equipment. *Mike Koste @ Gobs of Knobs, NOS / used knobs and push-buttons. *Radiopup, "Specializing in knobs, some parts, and a whole lot of fun"
*Remove "-nospam-" from email address. Spin Alley, Sales and restorations of vintage radios and phonographs. West-Tech Services, Hard to find phonograph service and parts. Vivak® PETG Sheet - US Plastic Corporation, Seller of .020" clear plastic, perfect for making replacement dial covers. Antique Radio Classified, "The National Publication For Buyers And Sellers of Old Radios And Related Items--Published Monthly"
The Indiana Historical Radio Society Bulletin, Published quarterly by the Indiana Historical Radio Society. Estes Auctions, Specializing in vintage radios. The Radio Attic, " Old radios and collectible radios for sale ". Antique Radio Repair and Restoration, Antique radio repair and restoration on all makes and models. Since 1978. Camden Antique Radio Service, Antique radio repair and restorations. Also does cabinet restorations. John and Jeans Antique Radio Service, Radio restoration by John Goller. Also sells radios occasionally. *Layman's Vintage Radios, " Expert Repairs and Cabinet Refinishing." Located in Lexington, KY.
RadioDaze, Reproduction dials and decals. Products of the former of Rock Sea Enterprises. Renovated Radios, Reproduction knobs, pushbuttons, rubber chassis washers, and much more. Also fixes potentiometer shafts. Just Radios, Schematics for American and Canadian radios. The Philco Repair Bench Schematics, Schematics for Philco brand radios. NeviSonics, Audio services and speaker repair. West-Tech Services, Driver repair for 1920's horn speakers. Bret's Old Radios (eBay), A series of DVDs that cover basic and advanced radio restoration. All Electronics Corp, Electronic surplus and other electrical parts. Circuit Specialists, Inc, "Circuit Specialists sells thousands of variacs, because we offer the best deals in the industry!" Fair Radio Sales, Surplus military radios. 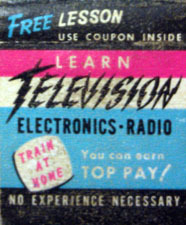 Futurlec, "The electronic components and semiconductor superstore." Mouser Electronics, A very large supplier of electronic components. 8 Track Shack, Vintage Music, Media, Players, Radios, Video Games & Consoles, 8-Tracks, and Records. Antique Airwaves, "Antique radio information and links." Antiqueradios.com, A vast source of information including antique radio forums and resources. BAMA, "The Boat Anchor Manual Archive". Manuals, and schematics for free download. Nostalgia Air, "Online Antique and Vintage Radio References." Schematics and tube substitutions. Philcoradio.com, Philco expert Rom Ramirez's homepage, with many pages on Philco information. The Radio Attic's Archives, Photos of over 5000 radios! The Philco Repair Bench, A great source for information on Philco brand radios. Zenith Oracle, Find out information on Zenith radios from entering a serial, chassis, or model number. Indiana Historical Radio Society, Publishes a quarterly bulletin, and holds meetings several times a year. The Louisville Electronics Homebrewers Club, Meetings are held once a month in Louisville, KY.
Hemingray.info, Hemingray glass insulator database. Seti@Home, "The search for extraterrestrial intelligence"
Wheres George?, A interesting currency tracking project. Ever get money marked "www.wheresgeorge.com? Read about it here.